Plant seeds are an important renewable source of biosynthetic polymers including protein, starch, oil and fiber. The amount of these biosynthates in harvested seed varies from negligible to a majority of total mass. Though the biosynthetic pathways for seed storage compounds are mostly known it is not clear how these pathways are regulated to produce higher quantities of oil versus starch or protein. With recent technological advances in the area of mass spectrometry in conjunction with maturing plant gene databases, high throughput identification of proteins from model and crop plants is technically feasible. Most of the ongoing research in my lab is centered on the development of quantitative proteomics approaches and applying these strategies towards seed filling in oilseeds, plants that accumulate oil as the primary storage reserve. We are using quantitative proteomics data to predict metabolic flow in diverse oilseeds such as castor, canola, soybean and sunflower with particular emphasis on carbon assimilation and intermediary metabolism. I am also interested in the regulation and biochemistry of de novo fatty acid synthesis and triacylglycerol accumulation in oilseeds. Global protein profiling of oilseeds using two-dimensional gel electrophoresis has revealed multiple isoforms for many metabolic activities. One reason for this could be post-translational modification, most notably protein phosphorylation. It is well known that rate-limiting or branch point enzymes are strategic points for 'fine' control of metabolism by reversible phosphorylation. To investigate this further, members of my lab are also systematically investigating phosphoprotein networks during seed-filling in model and crop oilseeds using advanced proteomics approaches and instrumentation. We using techniques such as Multistage Activation and Electron Transfer Dissociation on an LTQ-XL ETD mass spectrometer to map phosphorylation sites and AQUA peptides for quantification of phosphorylation flux dynamics in response to abiotic and biotic stimuli. Casteel J, Miernyk JA, and Thelen JJ. Mapping the lipoylation site of Arabidopsis thaliana plastidial dihydrolipoamide S-acetyltransferase using mass spectrometry and site-directed mutagenesis. Plant Physiology and Biochemistry. Article in Press. Oliver MJ, Jain R, Balbuena TS, Agrawal G, Gasulla F, and Thelen JJ. Proteome analysis of leaves of the desiccation-tolerant grass, Sporobolus stapfianus, in response to dehydration. Phytochemistry 2011;72(10):1273-1284. Hajduch M, Matusova R, Houston NL, and Thelen JJ. Comparative proteomics of seed maturation in oilseeds reveals differences in intermediary metabolism. Proteomics 2011;11(9):1619-1629. Balbuena TS, Salas JJ, Martínez-Force E, Garcés R, and Thelen JJ. Proteome analysis of cold acclimation in sunflower. Journal of Proteome Research 2011;10(5):2330-2346. Demartini DR, Jain R, Agrawal G, and Thelen JJ. Proteomic comparison of plastids from developing embryos and leaves of Brassica napus. Journal of Proteome Research 2011;10(5):2226-2237. Balbuena TS, Jo L, Pieruzzi FP, Dias LLC, Silveira V, Santa-Catarina C, Junqueira M, Thelen JJ, Shevchenko A, and Floh EIS. Differential proteome analysis of mature and germinated embryos of Araucaria angustifolia. Phytochemistry 2010;72 (4-5):302-311. Houston NL, Lee DG, Stevenson SE, Ladies GS, Bannon GA, McClain S, Privalle L, Stagg N, Herouet-Guieheney C, MacIntosh SC, and Thelen JJ. Quantitation of soybean allergens using tandem mass spectrometry. Journal of Proteome Research 2011;10 (2):763-773. Demartini DR, Carlini CR, and Thelen JJ. Global and targeted proteomics in developing jack bean (Canavalia ensiformis) seedlings: An investigation of urease isoforms mobilization in early stages of development. Plant Molecular Biology 2011;75(1):53-65. Stevenson SE, Houston NL, and Thelen JJ. Evolution of seed allergen quantification - From antibodies to mass spectrometry. Regulatory Toxicology and Pharmacology 2010;58(3):S36-S41. Gao J, Thelen JJ, Dunker AK, and Xu D. Musite, a tool for global prediction of general and kinase-specific phosphorylation sites. Molecular and Cellular Proteomics 2010;9(12):2586-2600. Lee DG, Houston NL, Stevenson SE, Ladics GS, McClain S, Privalle L, and Thelen JJ. Mass spectrometry analysis of soybean seed proteins: Optimization of gel-free quantitative workflow. Analytical Methods 2010;2(10):1577-1583. Chen M and Thelen JJ. The essential role of plastidial triose phosphate isomerase in the integration of seed reserve mobilization and seedling establishment. Plant Signaling and Behavior 2010;5(5):583-585. Schmutz J, Cannon SB, Schlueter J, Ma J, Mitros T, Nelson W, Hyten DL, Song Q, Thelen JJ, Cheng J, Xu D, Hellsten U, May GD, Yu Y, Sakurai T, Umezawa T, Bhattacharyya MK, Sandhu D, Valliyodan B, Lindquist E, Peto M, Grant D, Shu S, Goodstein D, Barry K, Futrell-Griggs M, Abernathy B, Du J, Tian Z, Zhu L, Gill N, Joshi T, Libault M, Sethuraman A, Zhang XC, Shinozaki K, Nguyen HT, Wing RA, Cregan P, Specht J, Grimwood J, Rokhsar D, Stacey G, Shoemaker RC and Jackson SA. Genome sequence of the palaeopolyploid soybean. Nature 2010;463(7278):178-183. Hajduch M, Hearne LB, Miernyk JA, Casteel JE, Joshi T, Agrawal GK, Song Z, Zhou M, Xu D, Thelen JJ. Systems analysis of seed filling in Arabidopsis: Using general linear modeling to assess concordance of transcript and protein expression. Plant Physiology 2010;152(4): 2078-2087. Huang Y, Houston NL, Tovar-Mendez A, Stevenson SE, Miernyk JA, Randall DD, Thelen JJ. A quantitative mass spectrometry-based approach for identifying protein kinase clients and quantifying kinase activity. Analytical Biochemistry 2010;402(1):69-76. Stevenson SE, Houston NL and Thelen JJ. Evolution of seed allergen quantification - From antibodies to mass spectrometry. Regulatory Toxicology and Pharmacology 2010;58(3):S36-S41. Oliver MJ, Jain R, Balbuena TS, Agrawal G, Gasulla F and Thelen JJ. Proteome analysis of leaves of the desiccation-tolerant grass, Sporobolus stapfianus, in response to dehydration. Phytochemistry 2010. Article in press. Demartini DR, Carlini CR and Thelen JJ. Global and targeted proteomics in developing jack bean (Canavalia ensiformis) seedlings: an investigation of urease isoforms mobilization in early stages of development. Plant Molecular Biology 2010. Article in press. Chen M and Thelen JJ. The plastid isoform of triose phosphate isomerase is required for the postgerminative transition from heterotrophic to autotrophic growth in Arabidopsis. Plant Cell 2010;22(1):77-90. Agrawal GK and Thelen JJ. A high-resolution two dimensional Gel- and Pro-Q DPS-based proteomics workflow for phosphoprotein identification and quantitative profiling. Methods in Molecular Biology (Clifton, N.J.) 2009;527: 3-19, ix. Gao J, Agrawal GK, Thelen JJ, Obradovic Z, Dunker AK, Xu D. A new machine learning approach for protein phosphorylation site prediction in plants. Lecture Notes in Computer Science 5462 LNBI: 2009;18-29. Houston NL, Hajduch M, Thelen JJ. Quantitative proteomics of seed filling in castor: Comparison with soybean and rapeseed reveals differences between photosynthetic and nonphotosynthetic seed metabolism. Plant Physiology 2009;151(2):857-868. Thelen JJ. Proteomics tools and resources for investigating protein allergens in oilseeds. Regulatory Toxicology and Pharmacology 2009;54(3 SUPPL.):S41-S45. Ozias-Akins P, Ramos ML, Fuastinelli P, Chu Y, Maleki S, Thelen JJ, Huntley J. Arias K, Jordana M. Spontaneous and induced variability of allergens in commodity crops: Ara h 2 in peanut as a case study. Regulatory Toxicology and Pharmacology 2009;54(3 SUPPL.):S37-S40. Agrawal GK, Thelen JJ. A high-resolution two dimensional Gel- and Pro-Q DPS-based proteomics workflow for phosphoprotein identification and quantitative profiling. Methods in molecular biology (Clifton, N.J.) 2009;527:3-19, ix. Chen M, Mooney BP, Hajduch M, Joshi T, Zhou M, Xu D, Thelen JJ. System analysis of an arabidopsis mutant altered in de novo fatty acid synthesis reveals diverse changes in seed composition and metabolism. Plant Physiology 2009;150(1):27-41. Stevenson SE, Chu Y, Ozias-Akins P, Thelen JJ. Validation of gel-free, label-free quantitative proteomics approaches: Applications for seed allergen profiling. Journal of Proteomics 2009;72(3):555-566. 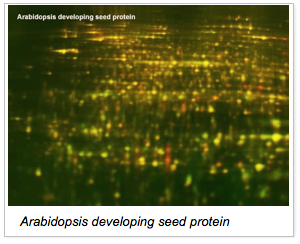 Gao J, Agrawal GK, Thelen JJ, Xu D. P3DB: A plant protein phosphorylation database. Nucleic Acids Research 2009;37(SUPPL. 1):D960-D962. Chu Y, Faustineeli P, Ramos ML, Hajduch M, Stevenson S, Thelen JJ, Maleki SJ, Cheng H, Ozias-Akins P. Reduction of IgE binding and nonpromotion of Aspergillus flavus fungal growth by simultaneously silencing Ara h 2 and Ara h 6 in peanut. Journal of Agricultural and Food Chemistry 2008;56(23):11225-11233. Agrawal GK, Hajduch M, Graham K, Thelen JJ. In-depth investigation of the soybean seed-filling proteome and comparison with a parallel study of rapeseed. Plant Physiology 2008;148(1):504-518. Jain R, Katavic V, Agrawal GK, Guzov VM, Thelen JJ. Purification and proteomic characterization of plastids from Brassica napus developing embryos. Proteomics 2008;8(16):3397-3405. Capkovic KL, Stevenson S, Johnson MC, Thelen JJ, Cornelison DDW. Neural cell adhesion molecule (NCAM) marks adult myogenic cells committed to differentiation. Experimental Cell Research 2008;314(7):1553-1565. Miernyk JA, Thelen JJ. Biochemical approaches for discovering protein-protein interactions. 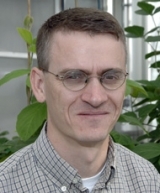 Plant Journal 2008;53(4):597-609. Hajduch M, Casteel JE, Tang S, Hearne LB, Knapp S, Thelen JJ. Proteomic analysis of near isogenic sunflower varieties differing in seed oil traits. Journal of Proteome Research 2007;6(8):3232-3241. Thelen JJ, Peck SC. Quantitative proteomics in plants: Choices in abundance. Plant Cell 2007;19(11):3339-3346. Kojima M, Casteel J, Miernyk JA, Thelen JJ. The effects of down-regulating expression of Arabidopsis thaliana membrane-associated acyl-CoA binding protein 2 on acyl-lipid composition. Plant Science 2007;172(1):36-44. Katavic V, Agrawal GK, Hajduch M, Harris SL, Thelen JJ. Protein and lipid composition analysis of oil bodies from two Brassica napus cultivars. Proteomics 2006;6(16):4586-4598. Mooney BP, Miernyk JA, Greenlief CM, Thelen JJ. Using quantitative proteomics of Arabidopsis roots and leaves to predict metabolic activity. Physiol. Plant. 2006;128(2):237-250. Hajduch M, Casteel JE, Hurrelmeyer KE, Song Z, Agrawal GK, Thelen JJ. Proteomic analysis of seed filling in Brassica napus: Developmental characterization of metabolic isozymes using high-resolution two-dimensional gel electrophoresis. Plant Physiol. 2006;141:32-46. Agrawal GK, Thelen JJ. Development of a simplified, economical polyacrylamide gel staining protocol for phosphoproteins. Proteomics 2005; 5:4684-8.